For the past six months the world has been basically shut out of the Rohingya ghettos and IDP (internally displaced peoples) camps. The government of Myanmar has made it hard if not impossible at times to reach the Rohingya minority as the Buddhists extremist attempt to complete their intended genocide. But there are brave individuals still attempting to get the word out of the "open air prison" that Burma has made for the Rohingya. Assed Baig is one of those people. His voice is lending an outlet to the Rohingya who have been made voiceless by their own government. His articles give a written word to a people who are being forgotten. And his broadcast out of Burma are being leaked through the iron grip of the Myanmar government. These are few of his reports... this is the news from the front line. Please note that it is hard to get information out of Burma. When the government notices that Assed is trying to get information about the Rohingya out they take actions to hinder or stop his progress. The work is hard, the government is hostile, and the local Rakhine are possibly violent to an individual they view as "Kalar" (unclean or dark skinned). 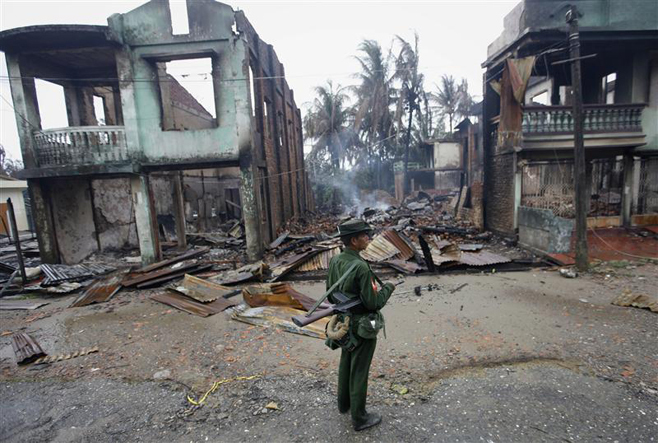 Yet Assed is still over in Sittwe doing the work that the European and American media refuse to do. The facts from the front still support the information we have received from people like Aung Aung in Sittwe. From the outside looking in it is still incredibly dangerous to be doing the things that Assed and Aung Aung are doing daily. But their work is vital. The world must bear witness. We can not look away and pray for the best of luck. It is time for the West, and perhaps long overdue, to begin to scream for the oppressed. 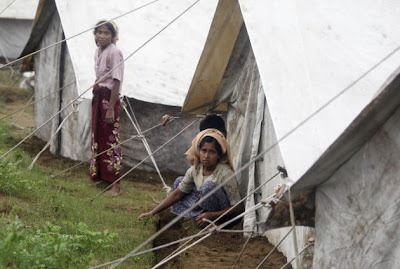 It is time that good, honest, decent people stand up and step into the gap between the Rohingya and death itself. We can not in good conscience set on the sidelines and wait till this is all blow past and the blood finally stops trickling out of the Arakan. If you can not donate your time or money, for the love of G-d, scream for the those who are dieing. By sharing videos like these and articles like this one you can help raise awareness of the Rohingya Genocide. It does not take any measurable effort with all the social networking we do these days. And would your time really be better spent on Pintrest for the next five minutes than it would be by spending a few minutes tweeting or sharing these images on Facebook? Its time to wake up to the suffering of others, to feel their pain and make it your own. It is time to join the fight to stop this senseless slaughter of the Rohingya people. It is time to scream America.